“Poems are echoes, asking from shadows to dance. Emotions that search their sounds and sounds that search for emotions“. 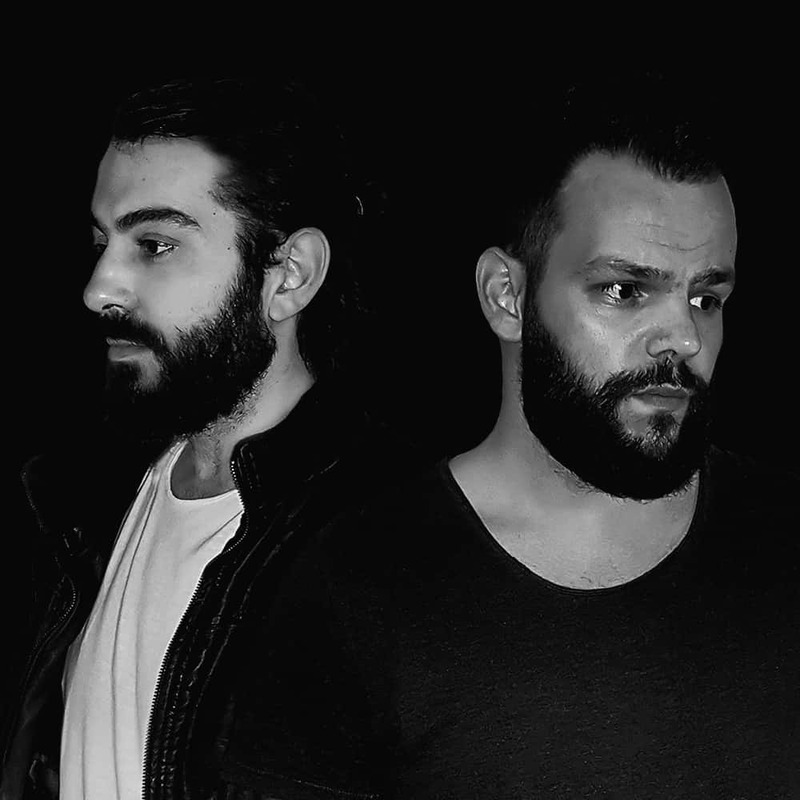 That’s how the promising duo from Greece introduce themselves since they burst onto the scene almost a year ago. Whilst not much is known about them, they recently caught the attention of DJ heavyweights, such as Corey James, Ravenkis, Anderblast and Havoc & Lawn, just to name a few, with their unique orchestronic interpretations on their newly-established “The Night Symphony” episode series. Without revealing much about themselves, enigmatic Poems sat down with Viralbpm to talk about their inspirations, upcoming grandiose Axtone interpretations, future plans and premiere their first video of their musical reinventions. Watch it here. V1. You’ve kicked off this year with a magnificent pack of poetic music interpretations of Size Records’ 2017 releases. How did you come up with this wonderful idea? POEMS: We wanted to combine two different music worlds together; ours with the ones we admire, such as Size Records and the label’s music repertoire. We wanted to reveal the deeply well-worked music behind the ideas, which some times are lost by the beats and drops, resulting in shadowing their harmonic melodic lines, on which these magnificent masterpieces were based on. V2. It seems that Corey James, Arias, Ravenkis, Anderblast, Havoc & Lawn, Marc Benjamin & Regilio, are among the talents from Steve Angello’s roster, who inspired you to begin your “The Night Symphony” series. Why did you choose their tracks and which one is your favorite? POEMS: Steve Angello and Size Records iconic imprint have always been a major pillar of dance music for us, with great releases and very talented artists, who gave us, through these tracks, everything we needed to start up this project. We started out with “Back In Time” because of its expressive melody and because we really loved the track. But the greatest challenge in this episode was, undoubtedly, “Genesi” because we had to take a pure underground track and bring out all of its musicality. V3. What’s the feedback so far on these musical reinventions of “Elephant”, “Stellar”, “Thunder”, “Genesis” and “Back In Time”? POEMS: Actually it’s surprisingly supportive and we’re so happy about it! We saw Corey James, Ravenkis, Anderblast and Havoc & Lawn sharing our music interpretations of their tracks on their socials! We’re so honored, but in the same time so intimidated to try harder. Additionally, apart from the producers important side, we have also much positive feedbacks from fans of Size from every corner of the world. V4. What should we expect from you next on “The Night Symphony” episode series? POEMS: We have many ideas and music for the series sequels. We’ll be getting back to it with the follow up episode of the “The Night Symphony” series, in which we will be presenting one of our favorite labels, Axtone! V5. Last year you’ve revealed a very different melodic remix on The Chainsmokers’ track “Something Just Like This” with Coldplay, giving us a glimpse of your versatile production style. What’s your favorite genre? POEMS: We are huge fans of Coldplay and their collaboration with a duo like The Chainsmokers was an opportunity for us to blend in our sound with a worldwide hit track. POEMS do not have a specific genre. For us music is the purest way of expressing emotions and feelings. So what we want to pass through our music can be different with every track depending on our state of mind. Not to mention that we had the positive feedback of The Chainsmokers themselves on our remix! V6. What’s in store for POEMS in 2018? Any new tracks or collabs we may talk about? POEMS: “The Night Symphony” is only a part of what we will be unveiling this year. There will also be some new original tracks and some collaborations with some artists we really admire, as well. Of course there are some thoughts of some novel ideas we would like to be involved into, but one step at a time. We’re open to try new things and team-up with other passionate producers around the globe. PrevPreviousGianni Blu Releases ‘Tell Me What It Feels Like feat. Mingue’ via Blu Recordings!